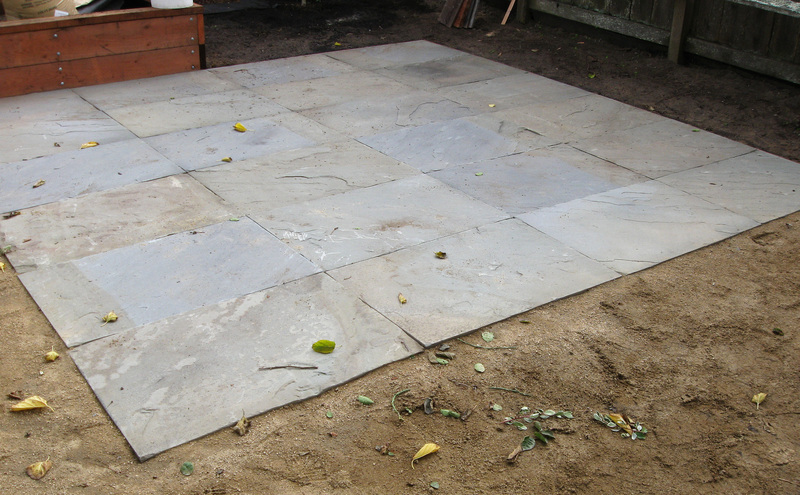 Sort of an interesting before and after on this patio. 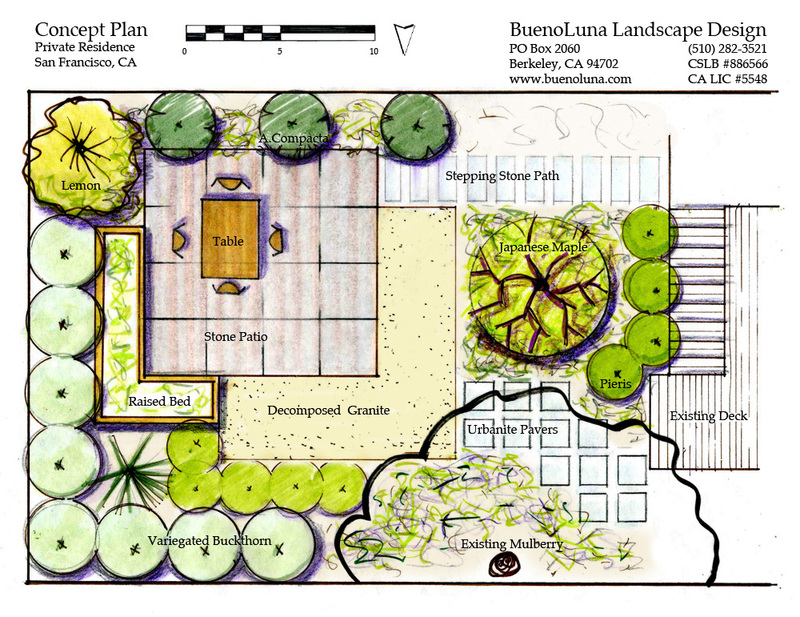 I did a design for the backyard of a rental property a friend of mine owns, one of those San Francisco backyards that you can only access by walking through the building. A general contractor — or rather the guys he delegates everything to — did the installation. 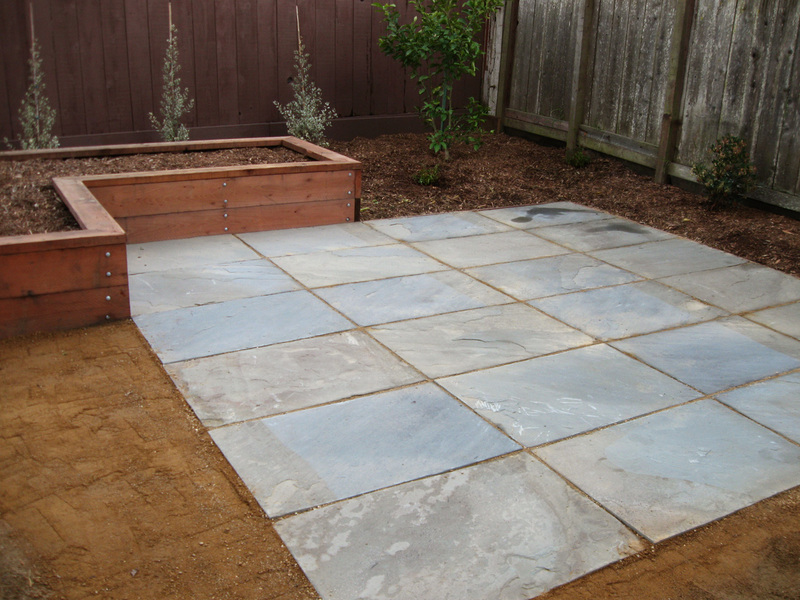 I tried to keep everything really simple for them, designing the patio as a simple square made up of 24″ x 36″ Connecticut Blue rectangles, an easy material to install which is also quite cost effective because it is so easy to install. Because they were inexperienced with stone, the contractor’s crew butted the stones up against each other as if they were pavers. You can do that with some stones, but these ones are a little too irregular. I’m not sure how bad it looks in the photos, but in person it didn’t quite look right. It looked almost right, and my friend signed off on it, but it bothered me enough to spend a couple of hours fixing it, spreading the stones to give them the quarter=inch-wide joint that I’d spec’d. No doubt it’s partly just my personal preference, but it looks much better with the joint. 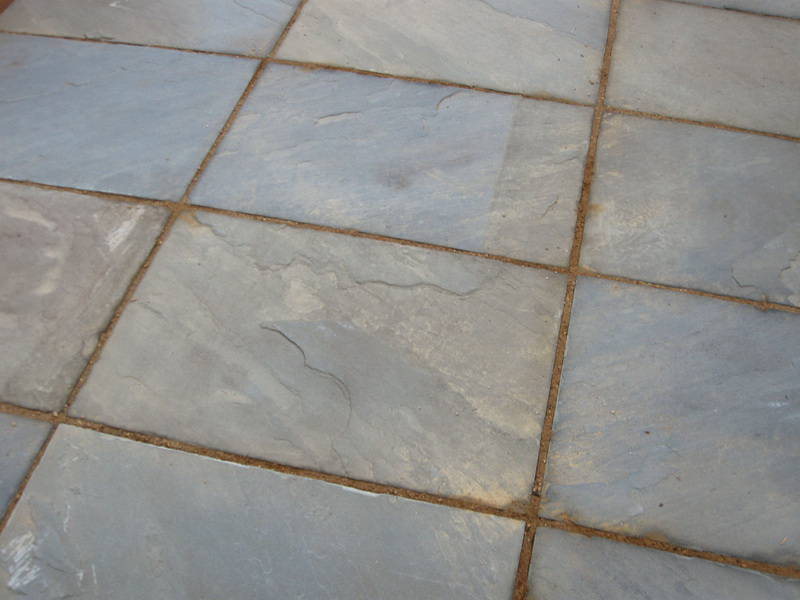 With the stones butted together, your eye is drawn to the places where the stones don’t match up perfectly. With the joint absorbing the irregularity, your eye lands on the stones themselves. 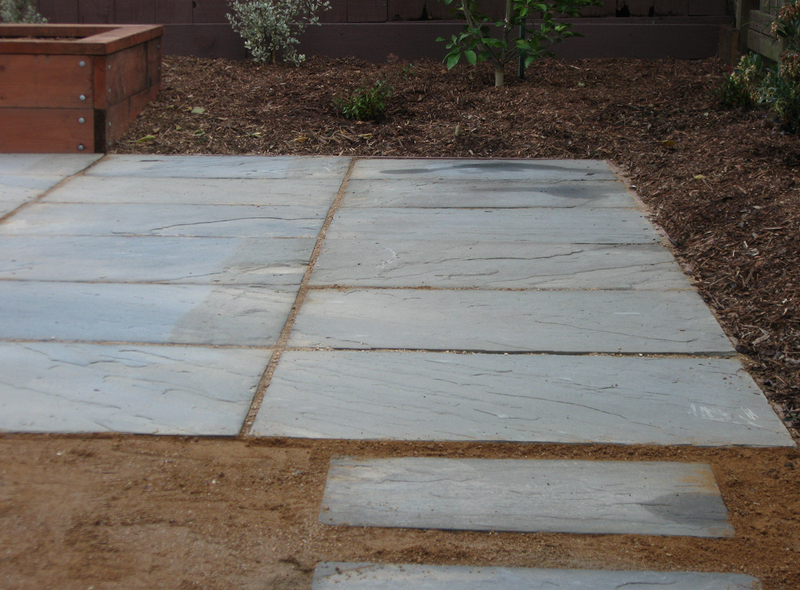 Giving the patio a DG joint also helped it match better with the stepping stone path leading to the patio. A couple of before photos. 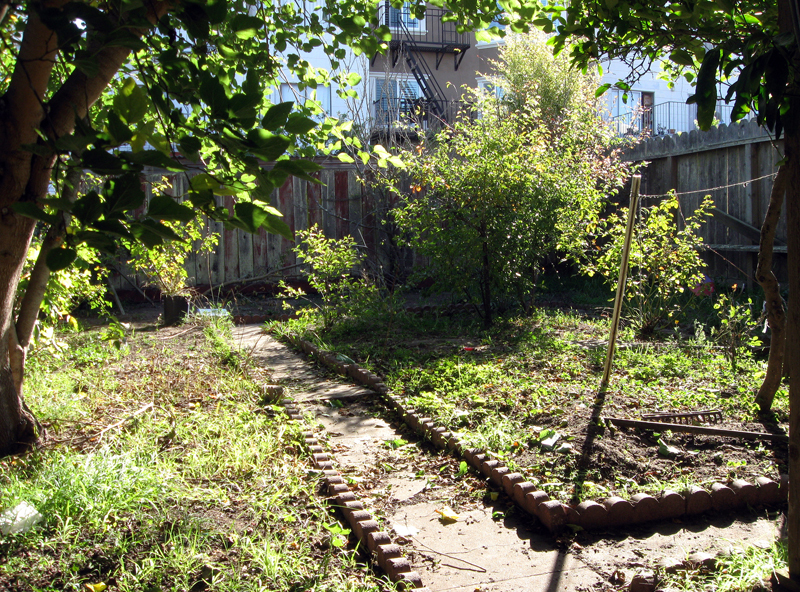 The garden used to have a lot of roses and fruit trees before the owner passed away and everything fell into neglect. There were several grape vines, which confused me at first because there was little chance of them fruiting in that part of San Francisco, but I think they were grown to use the leaves for dolmas. 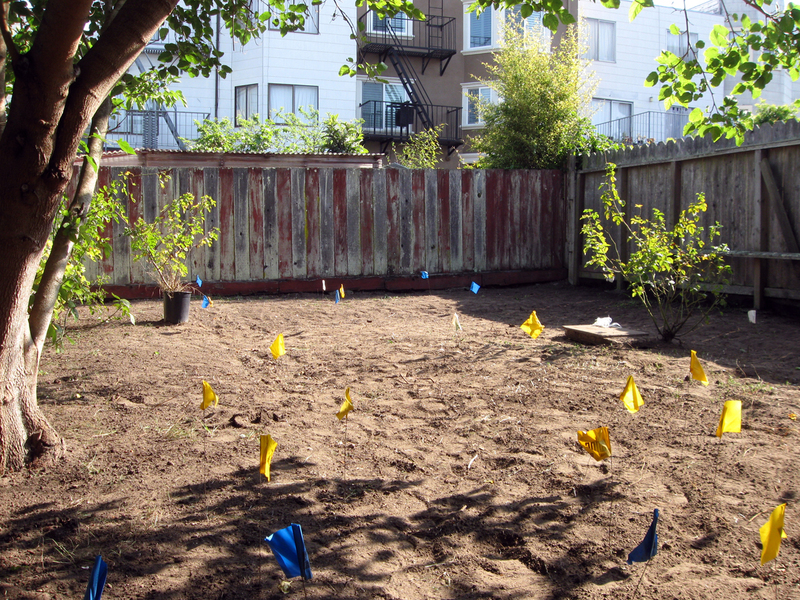 For now, we only installed the larger plants in the design and sheet mulched around them in an effort to suppress oxalis. The plants are nice but fairly common — a Fernleaf Japanese Maple, a Lemon tree, a Star Magnolia, a Variegated Buckthorn hedge, Spiraea, some groundcovers — but if a gardener moves in and embellishes the plantings it could be a sweet space. This entry was posted on Sunday, December 15th, 2013 at 11:41 am and is filed under flatwork, stone. You can follow any responses to this entry through the RSS 2.0 feed. You can leave a response, or trackback from your own site. I totally agree with your intuition there! Good insight for me to tuck away for my amateur stone work. I’m working on urbanite stairs on my property right now – ran out of big enough pieces two steps from the top of the slope! I confess, I’m not taking my time. 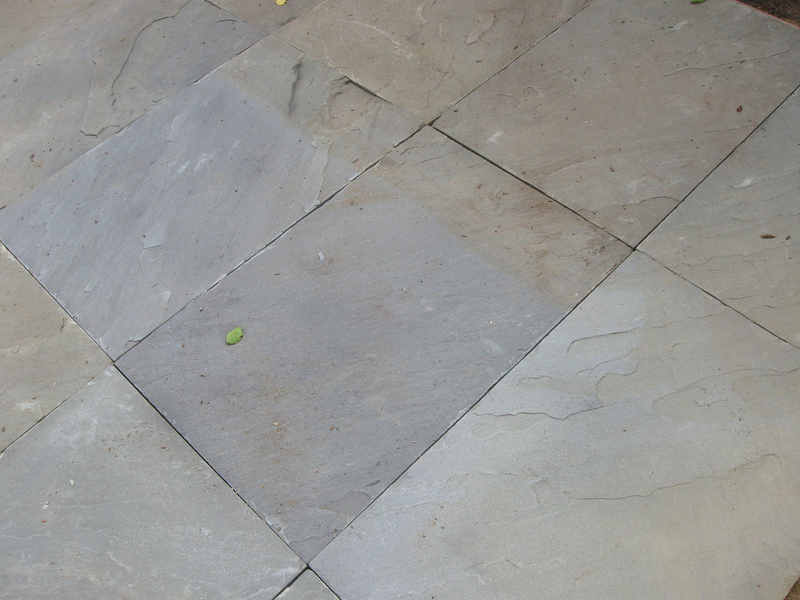 Impatience is never a good thing when working with stone – or anything else come to that! A very pleasing design for that small space.